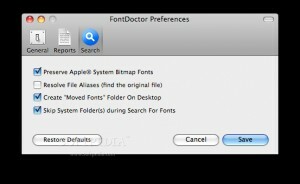 Here you can download FontDoctor X with version 7.7.0. This software was developed by Morrison SoftDesign. Distribute by license Demo and price USD 69.99. You can download this software from download.fontgear.net domain.